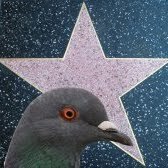 Today we have a special pigeon appearance. 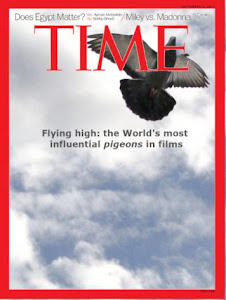 Contradicting the post's title, it is not a pigeon well respected by the avian nor human community. It is not flying, nor roaming around. The pigeon is served in a dish for a sad Duchess that is maritally frustrated and on top of that, has no appetite at all. The scene could not be more dramatic. The poor animal is served but the lady (Keira Knightley) has no interest in it, and she looks totally absent minded. In front of her, her husband the Duke of Devonshire (Ralph Fiennes) and his mistress are sat and enjoying the meal while the Duchess' lover is shouting at the front door demanding to talk with his lover. It is understandable that in such a bizarre situation, one wouldn't be interested in any kind of meal. After banishing her lover, the Duchess goes back to dinner and sits again. The Duke looks up, chewing and says: What’s the matter, don’t like the pigeon? I find it really quite decent. Pigeon activity: None. It is a cooked pigeon served on a plate. Symbolism: There is no special symbolism. I would assume the pigeon represents typical English 18th century high society cuisine. Relevance: Low, there is no impact on the film's plot line. Training level: Unfortunately, not applicable.